Not the best picture, but that is Mark's first all kipping workout, bye bye band. Great Job Silverback! Ian going Rx on the bells. It;s ok, she didn't fall off the rope, just stretching. Did it in about 25 minutes but didn’t have a watch or timer to know for sure. 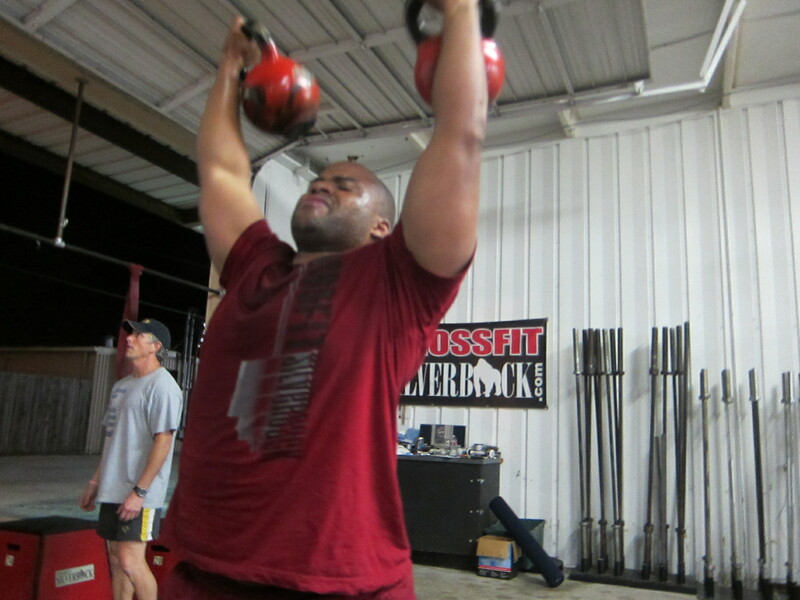 Chris Douglas pretty much destroyed this WOD. Awesome. Great 4:30 group! OHS not one I am very comfortable with- worked up to my old pr of 50#, then bumped it up to 60#! (verified by GIC) yippee! Feeling the endorphins from the new pr – after Audra completed her 70# OHS- thought I’d take her bar for a spin… and I did it! Insert happy dance here. Alas, brought back to earth during the wod when could not do double KB thruster. The KB kept hiting the arm that I got my flu shot in so I did one arm thrusters instead. Haven’t felt like saying it for a while but…. Linda – Yo da Mama!!! Great workout! Very impressive on your OHS! Good job, lady! Tough mentally to do this one solo. 155 OHS still don’t trust the knee enough to go all out. Getting there though. Huge props to Mark. 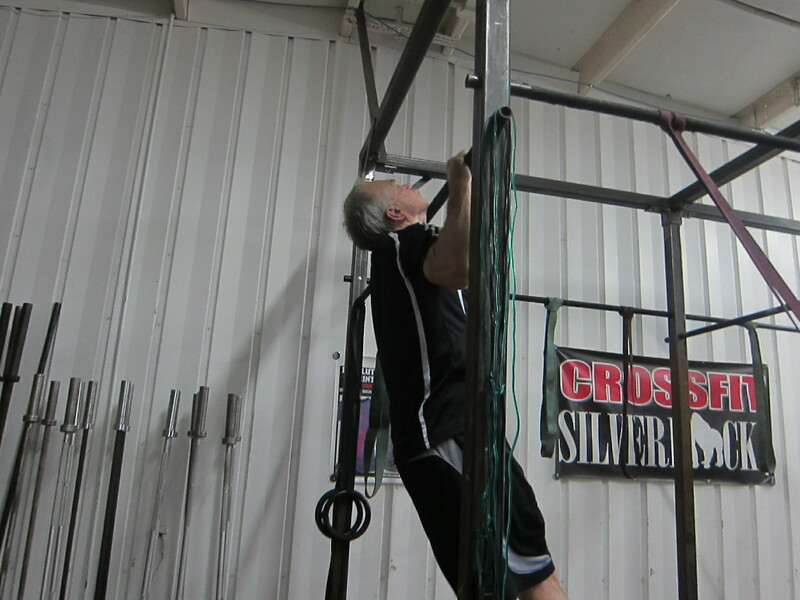 That was a heck of an effort on the pullups. Very well done.